The Community Design Apprentices will train in Equity-Centered Community Design to (1) examine how historical and systemic oppression has impacted transit and mobility in Kingshighway/Fairground, (2) conduct a community audit to understand the impact that transit, or lack thereof, has had on resident quality of life, and (3) (re)imagine how public transit access could improve quality of life. 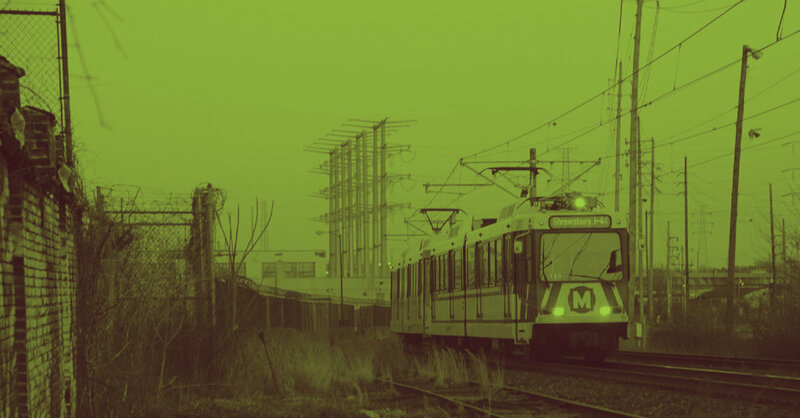 The Community Design Apprenticeship Program is a Collaborative Community Project of Mobility For All By All, a multi-stakeholder initiative which aims to co-design ideas and approaches to improving local transit with community residents. Apprentices who successfully complete the program will be eligible to receive up to a $300 stipend. All program sessions and events are mandatory unless otherwise discussed with program facilitators. My name is Andra Lang Jr. I am a native of East St. Louis and an undergraduate at SIUE. I’m pursuing a BFA In Fine Arts with a minor in Museum Studies. I have worked with St. Louis Artworks, the St. Louis Zoo, and have been commissioned by Southern Illinois Healthcare Foundation. It is my goal and intention to inspire my peers to see the value and understanding of the arts. I am honored to be apart of this team of Community Design Apprentices working for Creative Reaction Lab. This will help me engage with the community and establish a opportunity for networking and civil growth through public transit. My name is Antonio Wright and I recently just turned 21 years old on January 16th. I’m a Capricorn: “Kings born in January”. I have a good sense of humor. Also, I’m in an internship in Internet Technology at Harris Stowe University. I’m an Apprentice of Creative Reaction Lab working hard to help communities to work together and achieve success. Oh...and I’m a music artist. Bonjour! My name is Desmond and I enjoy long walks on the beach...wait, wrong bio. I’m attending college for Information and Technology. I love poetry, therefore, I am a documented poet. I’ve been documented seven times, and I’ve been on the news for poetry. I’m also an experienced lumberjack. My name is Quinton Ward, born and raised in Saint Louis, MO. I'm a senior at Webster University pursuing a Bachelor of Fine Arts emphasis in graphic design. I'm also the recipient of the 2018 Arts and Education Council Katherine Dunham Fellowship; where I have the opportunity to learn about the field of art administration and be mentored by art professionals. My work explores where art, design and community intertwines. Having a background in several mediums with art, community design, and community engagement, I aspire for my work to go beyond gallery walls and be accessible to a variety of communities. In my free time, I also like to go to Powell Hall and experience the St. Louis Symphony. My name is LaRon McGee. I am 21 years of age, I behave and I'm very brave. I am in school for Internet Technology, and honestly I’m in Creative Reaction Lab to better me and to be fit for my community. I’m for smiles and liberty. I’m not doing this to be a memory. I want to change the face of us. It’s a must to teach peace, love and trust. Nice to meet you and for you to have a great day is my only wish. Applications for the Spring 2018 Community Design Apprenticeship Program are closed. Interested in sponsoring a community design apprenticeship program to address a local community challenge? Contact Antionette Carroll, President and CEO, at acarroll@creativereactionlab.com.